The Light Hold Forming Pomade adds texture and separation to long or short styles. Clay adds body and thickness, making hair feel fatter. Light formula absorbs quickly. 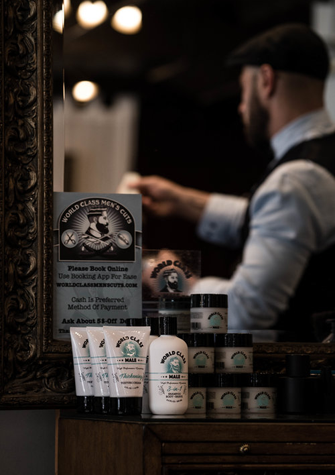 Therefore feel free to buy Light Hold Forming Pomade Online in Chicago. Work into dry or damp hair. Blow-dry for extra volume, body and hold. • Bentonite Clay - Clay for body and thickness. Wow, I was looking for something light that would still hold my hair. This product is really high quality and very concentrated. I love this pomade. It has an amazing texture and bonds well with my hair to create the perfect style. For years I've used other pomades (many high end) but never found one I liked - until now. I highly recommend! Subscribe to receive special offers and promotions and always be the first to hear about what is happening. © 2019 World Class Male. All Rights Reserved.